Calling all artists! 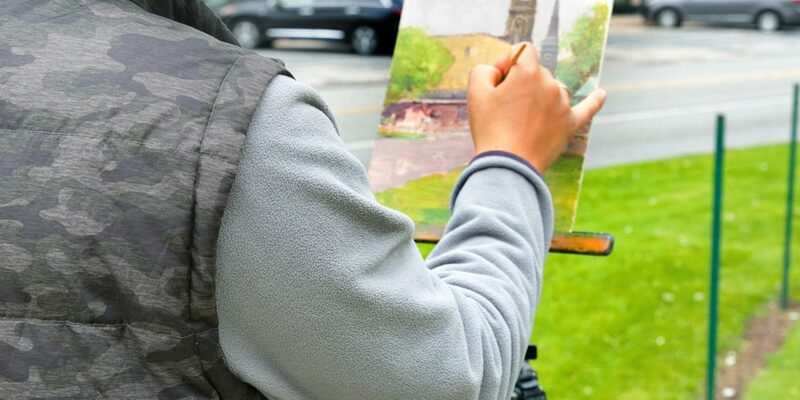 Please join Wayne Art Center's nationally recognized Plein Air artists as they paint the scenery of downtown Wayne and the Wayne area on Saturday, May 18, 2019, from 6:00am until 1:00 pm. Artists of all media and skill levels are welcome. The completed paintings will be exhibited outside the Ethel Sergeant Clark Smith Gallery at Wayne Art Center during the 13th Annual Wayne Art Center Plein Air Festival exhibition, which will run from from May 20 until June 29. Artists are responsible for equipment and supplies. Artists may submit up to two paintings to be displayed in the Plein Air exhibition which must be framed and wired for hanging.Paintings must be dropped off at Wayne Art Center on Saturday, May 18, 2019 - no later than 1:00 pm.